Greg is an attorney, Certified Financial Planner, and settlement planner with Amicus Settlement Planners, LLC. He is also a partner in the law firm Tombs Maxwell LLP and co-founded Amicus Settlement Planners in 2004. His practice specializes in special-needs planning, government benefit planning, and financial planning for settling plaintiffs. He is a current board member and past president of the Society of Settlement Planners, a national organization advocating for plaintiff’s rights in the settlement planning process. Greg is a member of the Utah Association for Justice, the Wyoming Trial Lawyers Association, the Financial Planning Association, and the American Bar Association. 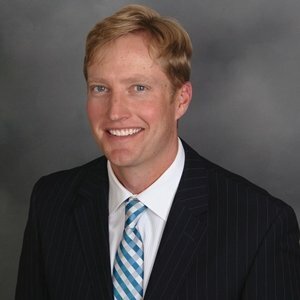 Greg is a 2003 graduate of the Texas Tech University School of Law. Greg is a frequent speaker to local, state, and national trial lawyer organizations regarding settlement planning related topics. While the firm is based in Texas, Greg lives near Salt Lake City, Utah, with his wife and 4 children. Greg enjoys coaching his children’s sports teams, playing tennis, slicing golf balls into the next fairway, and trying not to hurt himself keeping up with his kids.